Sharks are a popular topic for many children. 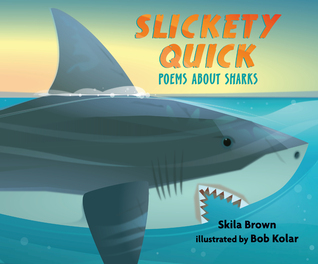 Combining sharks with poetry is a brilliant way to get children who might not normally read poetry pick it up. Combine the fun poems with the gorgeous illustrations and the strangeness of the sharks and you have a truly winning book. That cover alone will encourage children to pick it up. I especially appreciated that the sharks covered in the book are both popular well known ones such as the great white, tiger and bull, but also some lesser known ones such as the nurse, cookie-cutter, and the megamouth. In addition to a poem on each shark, each two page spread includes a great illustration and an interesting fact. A great teaching book for teachers and students, but also just a fun read. I loved the fact that all these poems are great for reading out loud. This is a fabulous book about a young girl whose love for fish and especially sharks led her to become one of the first scientists to study sharks. This is even more remarkable when one considers the discrimination she faced especially during the early years of her college and working careers. But she never let it stop her. Lang does a fabulous job of sharing Clark's love for the sea and some of the remarkable experiences she had while swimming and diving in the ocean. Solano's illustrations are amazing and are worth the price of the book in and of themselves. The additional information the author provides at the back of the book about both Eugenie's eighty years of work as well as sharks makes for a great supplement to the main body of the book. This is a powerful mini biography about a girl who wasn't afraid to follow her passion. Animal Planet introduces information-packed nonfiction chapter books that are just right for pleasure reading and schoolwork. Dive inside the world of sharks with this guide to the most incredible creatures in the sea. Photographically illustrated chapters highlight kid-favorite species such as Great Whites and Hammerheads, with a focus on behavior, senses, breeding, and feeding. Sharks! 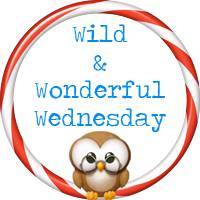 is the perfect overview for developing readers ready to explore this popular animal subject on their own. Special features include full-color photography throughout, "Meet the Scientist" sidebars, and "In Your Newsfeed" articles about amazing new discoveries. As a librarian, I get requests for shark books all the time. The books that I hand out are often the shorter picture book nonfiction so I was thrilled to see this new chapter book series about animals. 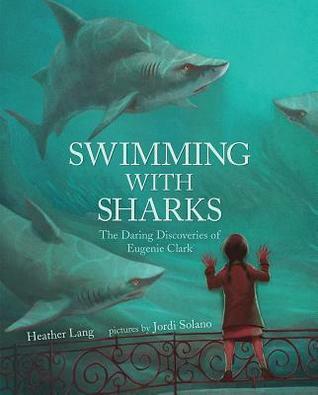 With gorgeous photographs and delicious tidbits of information about sharks as a whole as well as information about a few of the many different species of sharks, this book works great for middle grade readers. 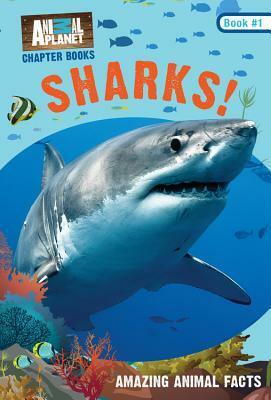 The book is divided into chapters with titles such as "Growing up Shark" or "What's for Dinner?" adding to the books appeal. The gorgeous colors used throughout create a very eye-catching design. I am sincerely hoping to see many more of these sorts of chapter books. The children are bound to love them. And I found it a very interesting read as well.